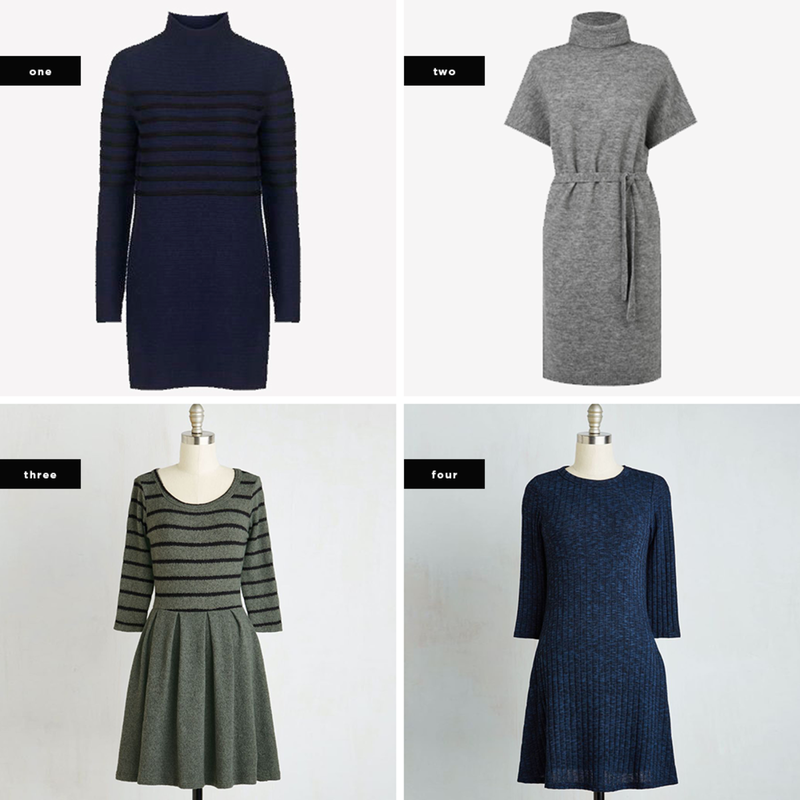 With the two coldest months of the year quickly approaching, sweater dresses are sure to be making more regular appearances in our rotation. 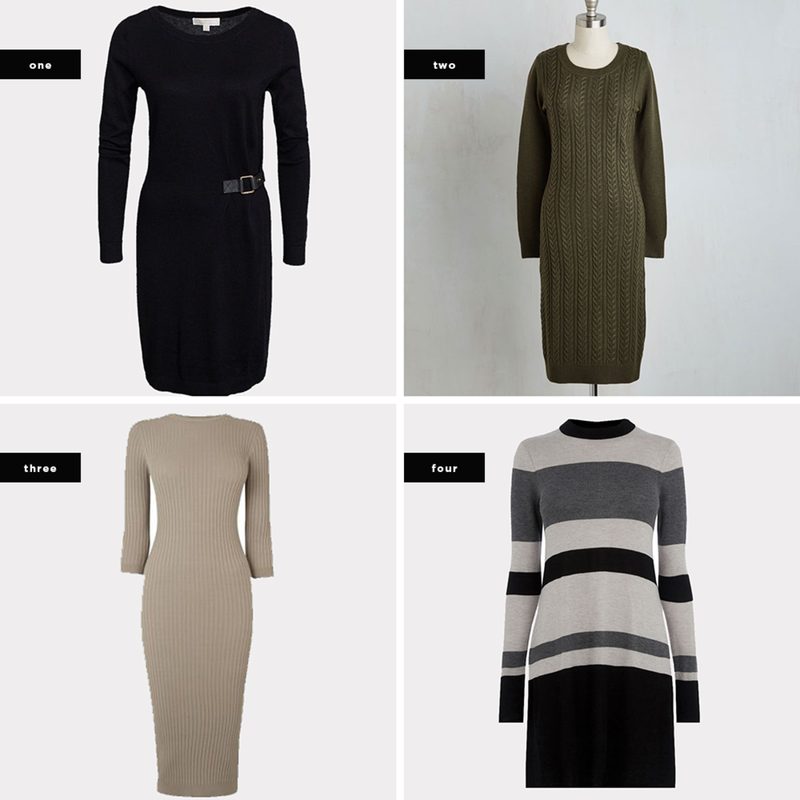 Soft, elegant, and always appropriate, these comfy frocks make for an easy and versatile outfit, so you can feel warm and feminine, fuss free. A knit midi dress or a fit-and-flare styled with boots and tights works for a multitude of situations. Talk about an investment piece! But despite their diversity, sweater dresses can be tricky to get just right—a little clingy here, a little too much fabric there. Fear not, though. To avoid fashion death by sweater dress, you simply need to find one that plays to your strengths. To do this, you’ll need to be extra-conscious of your body shape. 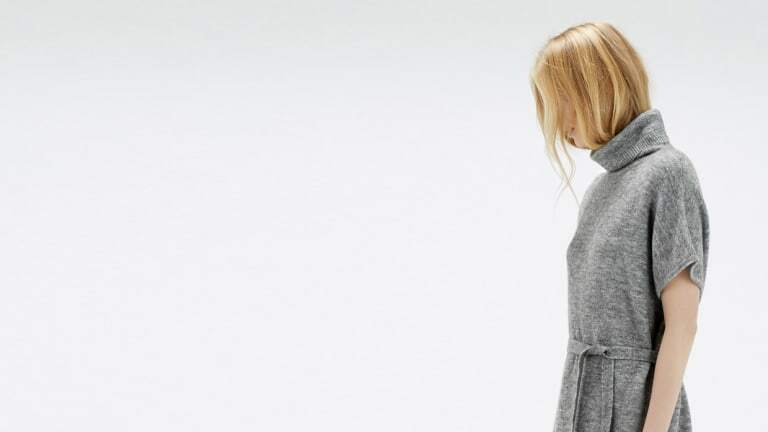 We’ve laid out some rules below for choosing the most flattering sweater dress styles for your figure, so you can achieve your cozy sartorial dreams. A boxy or boyish figure can rock the typical long and loose style but will also benefit from a dress that accentuates or creates a waist (say with a belt or pattern). Materials with vertical knitting, such as this taupe bodycon or forest cable knit, will make you look taller and accentuate subtle curves as the material stretches to your natural shape. 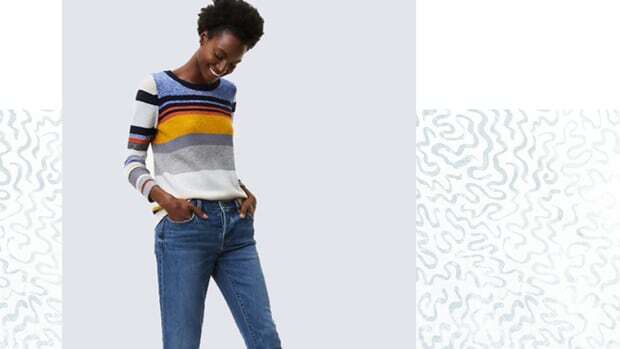 Be careful with full-on horizontal stripes because they will only highlight boxiness. 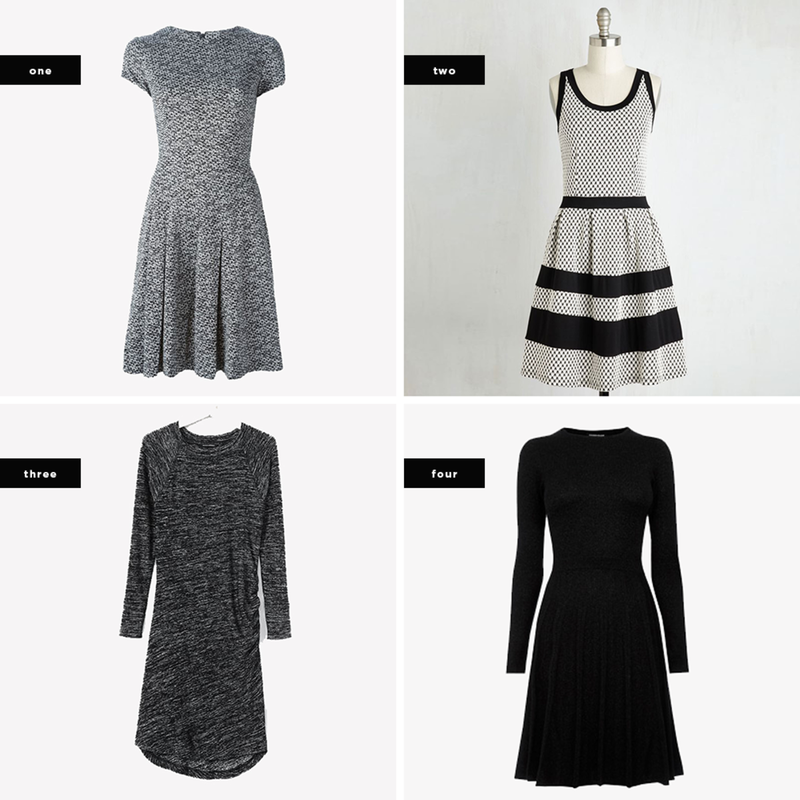 The exception: this striped dress that puts black lines at all of your narrowest places. Insta-curves for the not-normally-curvy. Heart-shaped ladies look best in sweater dresses that are more on the delicate side. Skip bulky cable knits and turtlenecks because they will make your top half look wide and/or round. 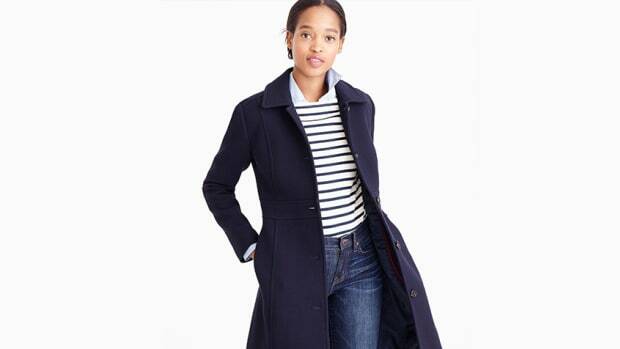 Choose thin, fitted knits with slim-fitting or cap sleeves. Then balance out your narrow hips with a full or flared skirt. The bands on the waist and skirt of this black-and-white dress from ModCloth grow increasingly wider, creating an illusion of width on the bottom. The angled stitching on this raglan day dress helps soften and minimize a heart shape, and the ruching on the hip will create more volume on your lower half. To balance out a pear shape, turn all the heart-shape rules upside down, and choose a sweater dress with top-focused detailing, such as this belted gray turtleneck dress. 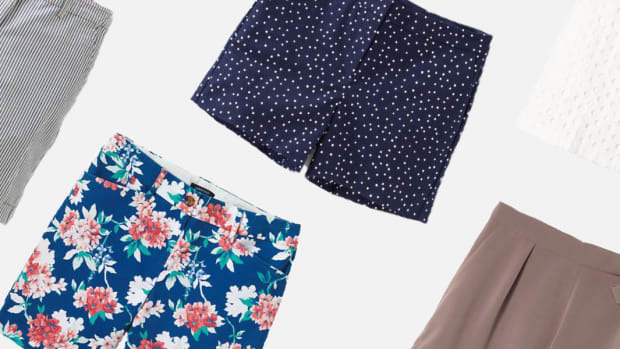 A pear shape can wear a fitted skirt, but it shouldn’t be too tight—A-line skirts are always flattering (honestly, they look good on everyone). Keep large patterns and horizontal lines away from the skirt portion of the dress because they will only widen your bottom half. But on the top half of the dress, stripes will help balance your silhouette to create an hourglass look, as seen in these green and navy numbers. The goal for petites: Do not be swallowed by your sweater dresses. When you’re tiny, it’s easy to be overcome by heavy cable knits and bold patterns. 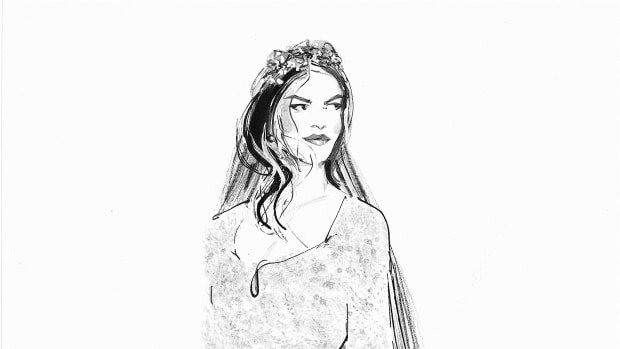 Choose a dress that hits above your knees, is fitted to your form, and has some catching detail like a belt or printed collar. For a petite woman wanting to brave a longer dress, pick one with some shape, and make sure the hem hits above or below the calves (and maybe also think about heeled booties). Like the petites, an hourglass wants to avoid being swallowed in sweater but, unlike the other shapes, is not as concerned about achieving balance because symmetry comes with the definition of your figure. 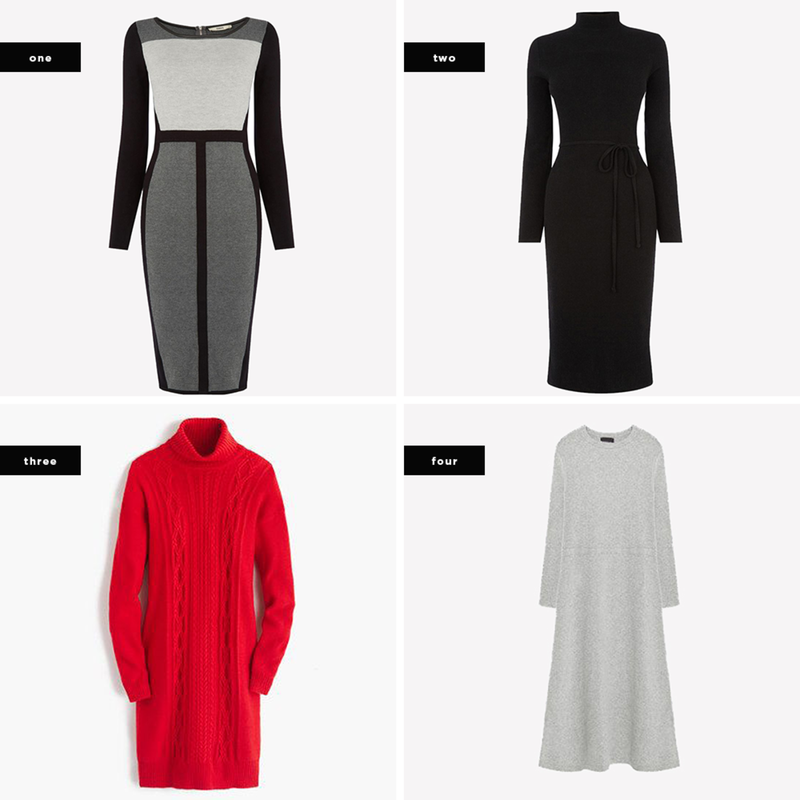 Really, dear hourglass, you can wear whatever sweater dress you want. 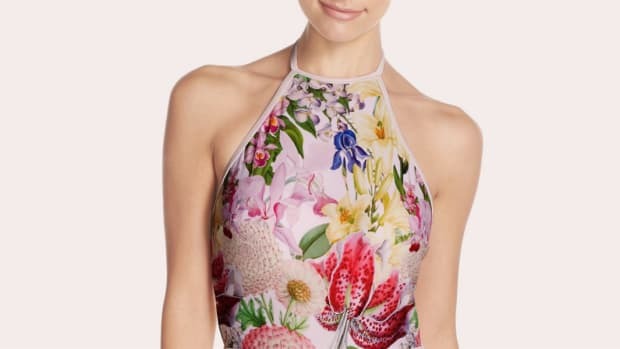 But to get the best one, choose a fitted dress (though not too tight that it bunches), and have fun with lines and shapes that nip in at the waist or elongate your body. 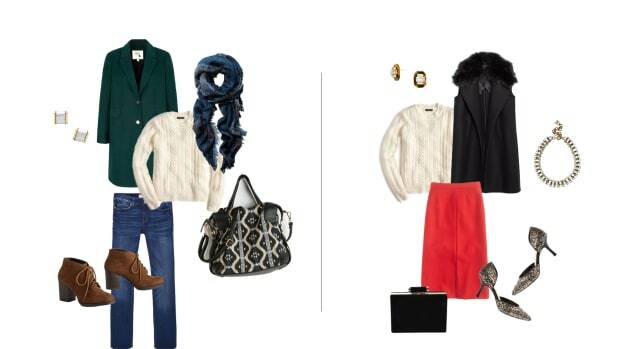 If you want to wear the loose and whimsical or bulky sweater style, choose a single focal point, such as a turtleneck or flowing skirt.